In this muffin tin: Italian bow tie pasta with salami, apples, honeydew melon and cantaloupe. 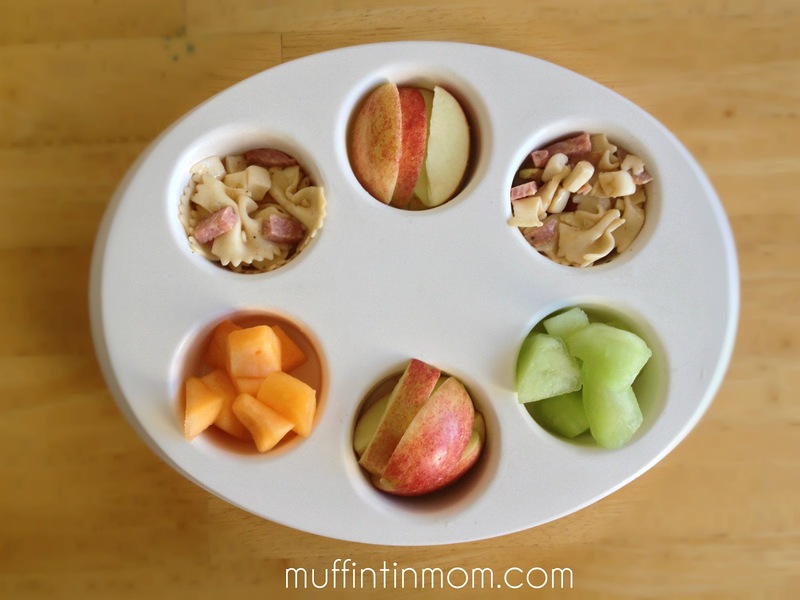 To see the rest of the 30 Days of Muffin Tin Meals, click here. This would make a great mom lunch too.